batteries,lead acid batteries,NiMH batteries and Super capacitors.the main function is to balance the voltage of the batteries. 1) distributed and centralized type, centralized type wiring is complex,distributed type wiring is simple. 2) parallel and serial type,parallel type has no voltage drop,doesn't affect normal use of the battery pack. 3) dynamic type and static type, dynamic type balance the batteries voltage all the time within the range of battery working voltage. 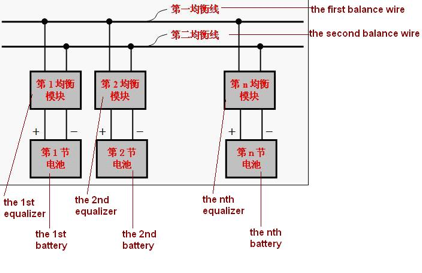 6) energy transfer type and energy consumption type, Energy transfer Type is to transfer energy to achieve the result of balancing single cells. little loss, less heat. 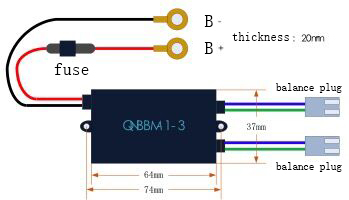 devices, such as synchronous rectification, soft switches, etc., to achieve high efficiency and high product reliability. 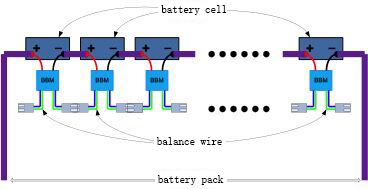 3) dynamic equilibrium: either charge or discharge or static set, balance the batteries automatically. 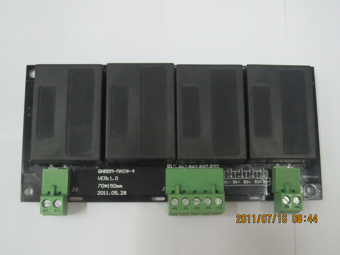 10) wide application :applied for all types and sizes of lithium batteries and lead acid batteries. 3) Communication power: communication base stations, substations, etc. 1) Fix one balancing module next to each cell, each cell corresponds to a balancing module. 2) Conect the first balancing module to the corresponding cell, attention that the positive line and negative line can not be reversed. 3) Conect the second balancing module to the first balancing module by the two balancing lines. 4) Conect the second balancing module to the corresponding cell, attention to the positive line and negative line can not be reversed. 5) Conect the third balancing module to the second balancing module by the two balancing lines. 6) Conect the third balancing module to the corresponding cell, attention to the positive line and negative line can not be reversed. 7) And so on, one by one, finish all QNBBM conections.